FREYA LUCAS shared in the Sector’s Early Education News, Views, and Reviews, that scientists have concluded that children may reduce the risk of myopia (commonly referred to as being short-sighted) by spending more time engaged in outdoor play, a study recently published in the British Journal of Ophthalmology has found. 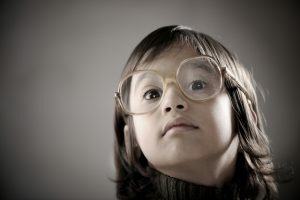 The study discovered that genetics played a factor in whether or not a child would become myopic, however, screen-based activities – such as time spent on an ipad or playing computer games – also increased the chance of a child becoming short sighted. This risk was reduced when children spent more time outdoors. The scientists involved in the epidemic research say that intense education and limited time outdoors play major roles in the epidemic, calling on education systems to make a major change to curb the trend. Winter is Coming Some Great Advice!